Pictures of Today 5/13/15, The Almost Empty.. In my apartment building, on the third floor around the corner from my residence, and a few doors down.. There is this emptied room, vacated by an elder male tenant for reasons I know not. This may have been the result of an eviction, or an untimely passing. Anything could happen, when you believe the mystery. For weeks now, there is little evidence of recent living. The fixtures, sockets, and remaining furniture are all gone. Little is left but the cold wind from the open window, sending chills on my passing neck at times. Later today after the outside heavy rains, I walked toward the empty room again; this time a little slower. I felt there was something else nearby. So, I decided to take a good peek inside the abandoned place. Posted on May 13, 2015 by Orion T.	This entry was posted in Spookiness and tagged abandoned, creepy, ghosts, Seattle, spooky, unsettling. Bookmark the permalink. ← Picture of Today 5/7/15, Life Cycled..
Was going for a spooky story. That thing has been in the hallway for days now in different spots. 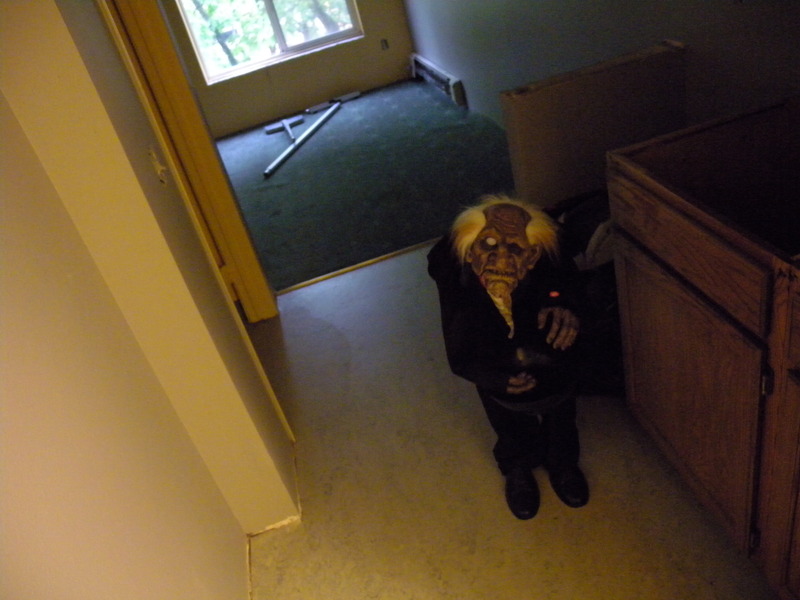 I think someone decided to raise the creepiness and put it in that room, heheh. 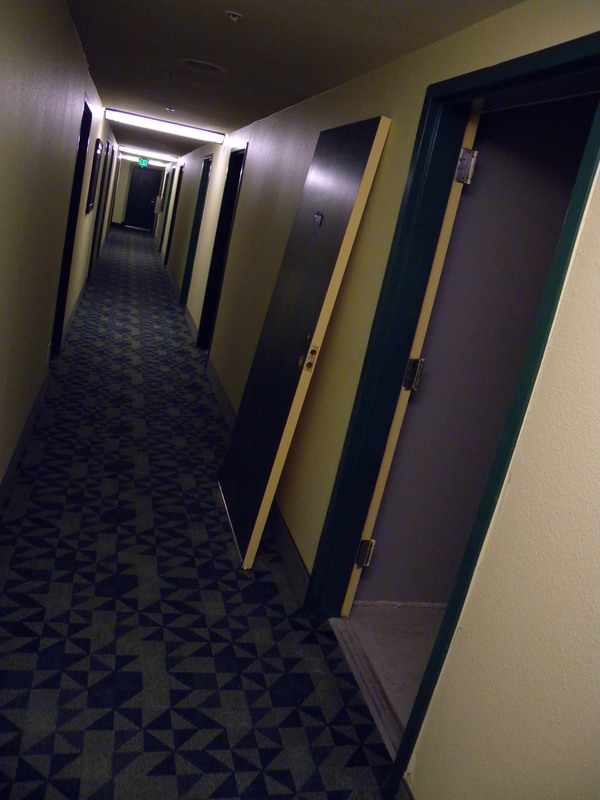 A lot of creative but creepy people in your building! Congrats, you creeped me out.